Topical research report “Structured Cabling Market by Solution Type (Products, Services and Software), Vertical (IT & Telecommunication, Residential & Commercial, Government & Education, Transportation, Industrial and Others) and geography - Global forecast to 2020” created by MarketsandMarkets has been recently published at MarketPublishers.com. According to the study, the global structured cabling market is likely to reach USD 13.13 billion by 2020. The structured cabling market is gathering speed, driven largely by the hike in Internet penetration, alongside the need for high-speed Internet access. Hence, there is an ever-rising demand for fiber optic interconnectivity solutions to support the soaring data traffic. In the structured cabling marketplace, the IT and telecoms segment will likely boast a larger market size in comparison with the other verticals, mainly owing to the increased demand for structured cabling services and products from the communications service providers and vendors in the data center infrastructure space. North American holds the lion’s market share in the world structured cabling market due to the trend of data center convergence, communication infrastructure expansion, and the enhanced rate of adoption of home and industrial automation systems. Worldwide, the value of the structured cabling market is forecast to amount to USD 13.13 billion by end-2020, posting 9% CAGR over the period. CommScope, Inc., Nexans S.A., Legrand, Panduit Corp., Corning, Inc., Belden, Inc., Schneider Electric SE, ABB Ltd., and Siemon are amid the top players that have a widespread network of production facilities and distribution channels, and offering a variety of products in the structured cabling market. Topical research report “Structured Cabling Market by Solution Type (Products, Services and Software), Vertical (IT & Telecommunication, Residential & Commercial, Government & Education, Transportation, Industrial and Others) and geography - Global forecast to 2020” created by MarketsandMarkets has been recently published at MarketPublishers.com. The research publication draws up an exhaustive picture of the worldwide structured cabling market, segmenting it based on solution type, vertical, and by geography. The report sheds light on the market dynamics covering market driving factors, growth hindrances, lucrative opportunities, and key challenges; examines major trends in the industry including a value chain analysis and Porter’s five forces analysis. It provides a shrewd discussion of the competitive scene in the industry including market share assessments for the market, and recent developments. The report profiles the leading companies operating in the structured cabling market alongside their products and services, financials, strategies and developments, etc. The report also provides a global forecast for the sector to 2020. 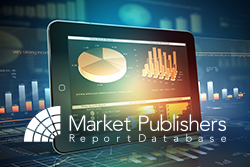 More reports by the publisher can be found at MarketsandMarkets page.